A fresh analysis called "Glass Ceiling Paradox" by Finnish think-tank EVA has addressed the issue of low proportion of female managers in Finland, despite the Nordic country potentially offering more equal opportunities compared to its less "feminist" peers. In Finland, the proportion of women in senior positions is 32 per cent, which is below the OECD average, the report stressed. This is still a far cry from 44 per cent in Latvia, an OECD member state, which, unlike Finland and its fellow Nordic countries, seldom gets any praise for its gender equality. "In Finland, the conditions should be better than in Latvia for women to advance to top positions," Swedish-Kurdish economist Nima Sanandaji, one of the contributors to the analysis, told the Hufvudstadsbladet daily newspaper, citing the universal trend of women surpassing men when it comes to higher education, which is clearly manifested in Finland. According to Sanandaji, men compensate for the lower level of education by having longer working hours. Men are thus over-represented in the top and bottom parts of the career pyramid, whereas women dominate the middle. Sanandaji ascribed Nordic women progressing more slowly in their careers to generous contributions from the welfare state. "It encourages women to stay out of work or work part-time, which is detrimental to their careers. On average, women work less than men and that is the main reason why 'glass ceilings' exist at all. The Nordic welfare policy only strengthens this effect," Sanandaji explained. Another factor that impedes women's career progression, according to Sanandaji, is high levels of taxation which discourage people from working, while at the same time make it more difficult to procure household services to the same extent as, for example, in the US. By contrast, freeing up more time for work would not only increase productivity but provide jobs to others. Lastly, women's career choices are another factor that impedes their advancement. According to Sanandaji, opportunities in the female-dominated public sector are limited. "In the public sector, wage levels are set by agreement, while wages in the private sector are determined to a greater extent on the basis of the personal work effort, which encourages advancement," Sanandaji explained. According to Expert Market, Belarus, often labelled by western politicians and press alike as "totalitarian", has the highest percentage of women in managerial positions in Europe at 46.2 per cent. Internationally, Jamaica, Colombia and Saint Lucia are in the lead, being the only countries where female managers enjoy a numerical superiority. 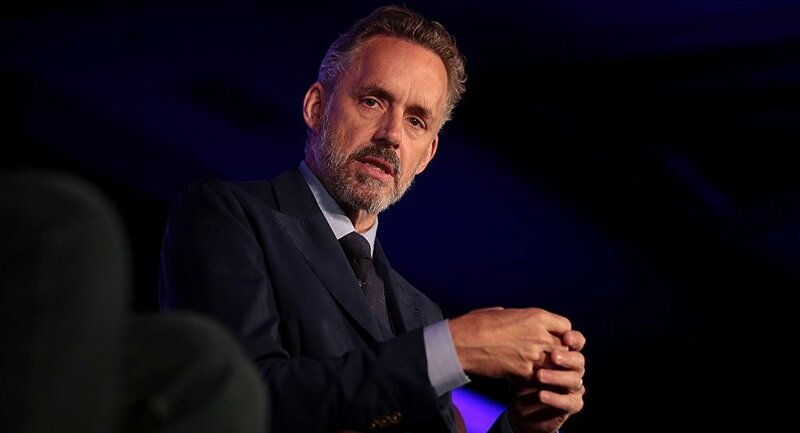 Toronto University professor Jordan Peterson, who rose to international fame due to his opposition to mandatory gender-neutral pronouns, as well as criticism of feminism and socialism, has often referenced "feminist" Scandinavian countries as having the highest gender differences in the world, despite their commitment to equality. — Jordan B Peterson (@jordanbpeterson) 14 марта 2018 г. ​During his Scandinavian tour last autumn, the author of bestseller "12 Rules for Life. An Antidote to Chaos", reiterated his standpoint. "The more egalitarian and rich a society is, the greater the differences between the sexes. In Norway, you therefore have the biggest differences between men and women. This materialises in working life: men become engineers, women become nurses," Peterson said, as quoted by the Norwegian daily Aftenposten. For his claims, Peterson received a lot of flak in Scandinavian media. The uproar culminated in Swedish Foreign Minister Margot Wallström, a fervent feminist and the architect of Sweden's "feminist foreign policy", telling the acclaimed professor to "crawl back under his stone". Nima Sanandaji is the president of the European Centre for Entrepreneurship and Policy Reform think-tank, and the author of over 20 books on innovation, entrepreneurship, women's career opportunities, the history of enterprise and the future of the Nordic welfare states, including "The Nordic Gender Equality Paradox".